Carlos Tamarez did what he was supposed to in that 10th inning for short-season Southern Oregon in that August 1990 game. What did, and did perfectly, was lay down a sacrifice bunt to move the runner to second, according to The Eugene Register-Guard. Tamarez' bunt then set up the winning run, that runner scoring on a single. Tamarez was in his second season as a pro that year with the Southern Oregon team. He'd played with the club the previous season, as well. His career, though, ended up being limited to just those two seasons, Tamarez never making it above single-A. 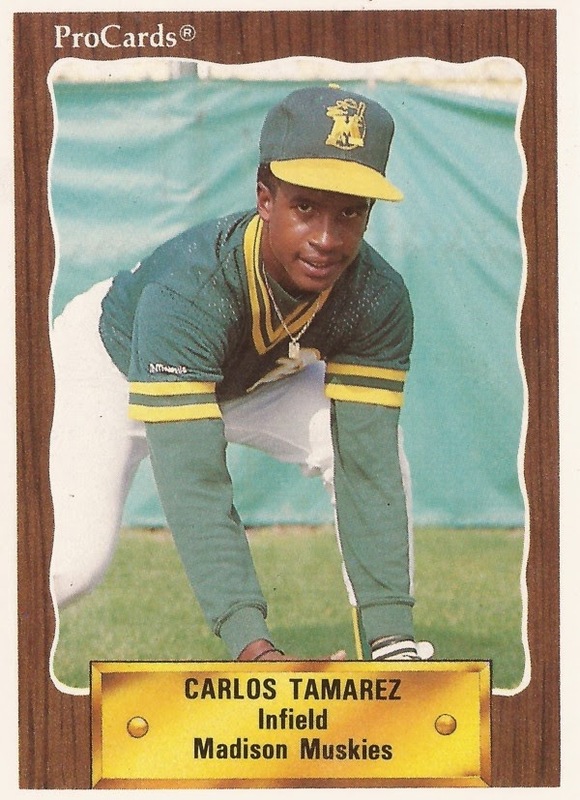 Tamarez' career began in 1988, signed by the Athletics as an undrafted free agent out of his native Dominican Republic. He hit the field in 1989, playing between Southern Oregon and the rookie Arizona League. He got 37 games in the rookie league, hitting .233. In seven games at Southern Oregon, he picked up two hits in 19 at bats. For 1990, Tamarez got time at single-A Madison. He hit just .146 in 17 games there. In June, he was sent back to Southern Oregon. At Southern Oregon, he got into 58 games. He is credited with two games at independent Bend. Overall on the year, Tamarez hit .207. He also knocked in 20 and stole seven bases. It was his final year as a pro.